If there was one word to describe how I felt after finishing this novel, I think I would have to say "shocked." I just sat here thinking about the last page, and continued to think about it for hours. It really is the kind of ending that will stay with you for a long, long time; you might also want to consider following it with something light, if just for your own sanity. Smile begins with the return of Victor Forde to his hometown decades after he'd left it. He's just moved into a new apartment, is very lonely, and he decides that maybe he'll scout out a new local. Sitting in the pub looking at his iPad, his quiet time is interrupted by Eddie Fitzpatrick, who insists that they were schoolmates together back in the days when they attended the Christian Brothers School. Victor can't place him, but Eddie continues talking and bringing up things that seem familiar to Victor. Although Victor is quite lonely at this stage of his life, he has no desire to be friendly toward Fitzpatrick, taking an instant loathing to him and hoping he'll never see him again. Alas. That is not to be. 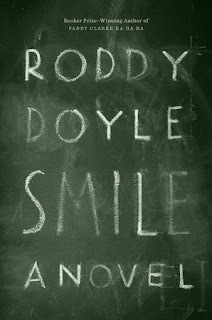 The thing is though, that those few moments spent in Donnelly's in Fitzpatrick's company prompt Victor to start spinning through his memories of his school years; as he starts to relive those days, certain things start to come back to him that take us back into his childhood in a working-class home, moving forward through his adolescence, his exit from the old neighborhood, and on into his adult life where he meets and falls in love with Rachel and begins to enjoy a fleeting sort of fame. We also learn that Victor is a failed writer who had wanted to write a book about Ireland's history; he has all the best intentions, taps out a few pages here and there, but he just can't quite get it together enough to actually produce anything. Interspersed with his past is his present, in which Fitzpatrick and Victor continue to bump into each other at the pub, and as their relationship begins to unfold, we watch as things begin to take a strange, dark turn with these two men. It's so difficult to discuss the book in any sort of depth because I don't want to give away anything at all that would ruin things for potential readers. Anything I say past what I've already said here will do just that so let's leave it at this: it is, as the cover blurb says, a tale of memory and contending with the past, and I think I'll leave it there. I would strongly advise not reading any reviews that give away the show; I noticed on Amazon that many readers went ahead and blew the ending for others in what they had to say so avoid reading those at all costs. 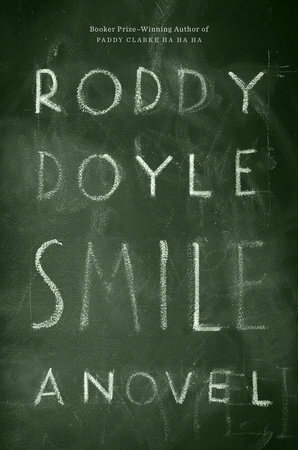 For me, Smile was a brilliant novel; I have only read Doyle's Barrytown books (The Commitments, The Snapper, The Van and The Guts) which I absolutely loved, but that leaves several other novels of his on my shelves remaining to be read. Smile goes into deeper, darker territory than those four, although I have to admit that there were quite a few humorous moments here that actually made me laugh before the story began to take the turn toward the dark that culminates in those final, mind-shattering pages. I can't recommend it highly enough. Don't buzz through it, and don't be surprised if after the last page you want to immediately read it again. It's just that kind of book.